To begin with the Earth was an incandescent mass whose elements hardened into what Buflfon called a 'vitriscible' rocky state as it cooled. There was a general flood, which on retreat left fossil shells embedded in its sedimentary deposits. The large quadrupedal animals followed next and to Buffon their global distribution showed that the continents must have been joined as a single mass. The sixth epoch saw the continents separate and finally in episode seven mankind appeared. Buffon used an ironworks on his estate at Montbard near Dijon to heat iron spheres of different sizes. During these experiments, he timed their cooling and from this data calculated how long it would take an Earth-sized iron sphere to cool. His published results claimed that the Earth must be at least 75,000 years old, but his unpublished notes show that he thought the figure to be some 40 times longer; that is, around 3 million years. His reticence may show that he was not entirely immune to criticism and was worried that such an extreme age might leave him open to ridicule by his contemporaries, who generally believed in an age of not much more than 'six or eight thousand years', derived from various versions of the biblical chronology. Buffon was attempting an all-embracing and systematic history of the Earth, following the earlier philosophical tradition of producing theories of the Earth. But his method was already outmoded: the new science of the latter part of the eighteenth century was demanding more precise facts and explanations. It was the next generation of rising stars of natural philosophy such as Johann Friedrich Blumenbach in Germany and Georges Cuvier in France who were to carry the study of Earth history and ancient life forward into the next century. 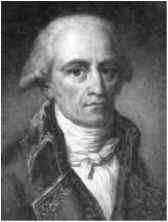 Johann Friedrich Blumenbach, 1752-1840, German anthropologist, professor of medicine and curator of natural history at Gottingen. He collected and measured human skulls from around the world, which he used as a quantitative basis for a racial classification around a Caucasian ideal form. (now known as Mammut americanum). However, Cuvier was dissatisfied with these designations, especially the latter. 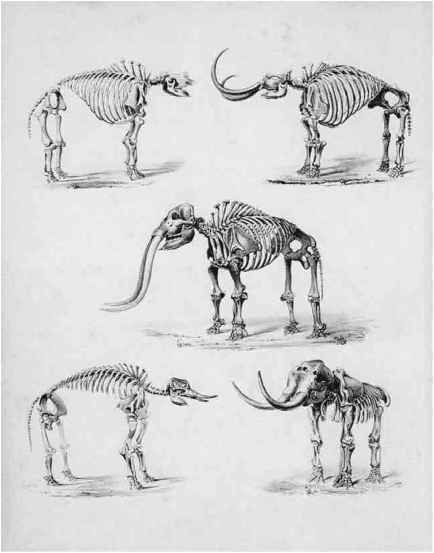 Cuvier had been studying elephants and their fossil relatives for some time and realised that he could use the huge and distinctive beasts as an excellent example of a more important issue, the question of extinction. In 1796 (or year IV of the French Revolutionary calendar) Cuvier had declared that such a study would 'shed light for us on the obscure and intriguing history of the revolutions of the globe'. A young French Protestant from Monbeliard near the Swiss-German border, Cuvier had studied in Germany and then tutored the children of a Norman Lutheran family in Caen during the revolutionary years of the early 1790s. Jean-Baptiste de Monet, Chevalier de Lamarck, 1744-1829, army officer, worked in a Paris bank while studying medicine and botany, keeper of the Jardin du Roi (from 1774), professor of invertebrate animals in the National Museum of Natural History in Paris. He developed a transformationalist evolutionary theory and was author of Zoological Philosophy (1809) and System of Invertebrate Animals (1815-22). to make his mark among such illustrious colleagues, Cuvier employed the new techniques he had learned in Germany in his 1796 Treatise on the species of elephant, both living and fossil. He demonstrated by detailed anatomical comparisons that the living Indian and African elephants have significant differences that make them quite separate species and compared them with fossil remains from Siberia that represented a third and indubitably 'lost species'. Cuvier developed what he called 'comparative anatomy', whereby the skeleton, body parts, function and life style were seen as both interdependent or integrated and yet structured and organised on the same principles across the animal kingdom. 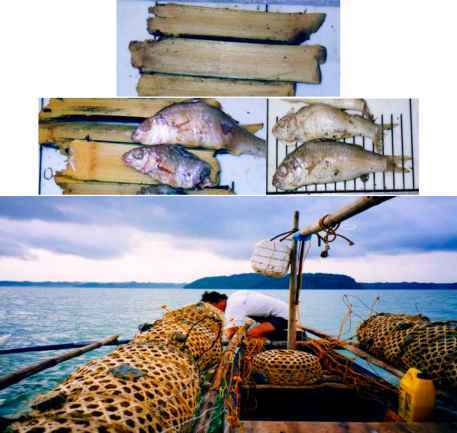 For instance, animals that ate meat would have teeth suitable for that purpose and claws for catching and holding prey. But at the same time, the same sets of limb bones could be identified between animals that ran on the ground, swam in the sea or flew through the air. The fossil animals that were to play a key role in Cuvier's development of comparative anatomy and the question of extinction were first the giant ground sloth (Megatherium) of Paraguay, which Cuvier described in 1796 (see p. 364), and secondly the elephants. He returned to the tougher question of the Ohio animal in 1806. By analysing its anatomy he was able to show that it was much further removed from the elephants than the mammoth and yet should not be confused with the latter. Accordingly, he placed it in a separate genus that he named Mastodon, meaning 'breast-tooth' and referring to the rounded tubercles on the surface of the molar teeth. In addition, Cuvier began to discuss the character of the event that had caused the animal's extinction. 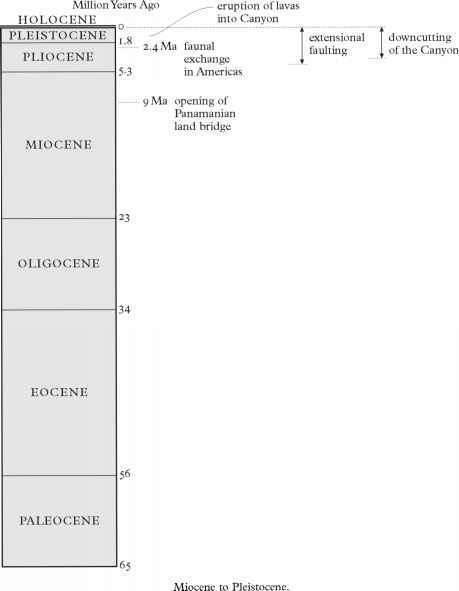 Furthermore, he extended his discussion to include a number of other large fossil mammals, including species of rhinoceros, hippopotamus and tapir, whose remains were found widespread in superficial deposits of the Americas, Europe and Asia. Not only mammoth but also rhinoceros remains with hair and other tissues preserved in frozen ground had been reported from Siberia by reliable authorities such as Prussian explorer and naturalist Peter Pallas. For Cuvier this was evidence that the animals could not have been swept into the region by flood events, but must have lived there and been suddenly overwhelmed by some catastrophic event or sudden revolution. Peter Simon Pallas, 1741-1811, medically trained Prussian naturalist, professor at the academy of sciences in St Petersburg, explored from the Urals to Siberia (1768-74, 1793-4) and wrote Zoographica Russo-Arctica (1811-31). Since marine shells were often found closely associated with the bones of land-living animals, Cuvier argued that it was a brief and transient incursion of marine waters that had overwhelmed them. Although this might sound like a reworking of the Noachian Flood idea, Cuvier also pointed out that since the bones were only found in low-lying areas, the incursion had also been restricted geographically and was not universal. Meanwhile, back in America, the polymathic Jefferson managed to combine his duties as third President of America with his scientific interests. He supported Charles Willson Peale's 1803 search for giant fossil bones in a technically difficult, water-logged excavation in Orange County, New York. Peale eventually cobbled together bones from several nearby sites and separate skeletons to reconstruct a 'single' entire mastodon skeleton for his museum in Philadelphia. Some 30 ft 6 in long from its tail to the tip of its tusks, and standing 11 ft 10 in tall at the shoulder, it was a very impressive beast and attracted the attention of a lot of Philadelphians. Wild speculation in the press promoted the idea that the 'mammoth' might be over 100 ft long and 100 ft high. Even Jefferson was not immune to the hype and suggested that it had been 50-100 ft long and 40-80 ft high. Remember, this was well before anyone knew that the really monstrous dinosaurs existed and this was one of the biggest land animals known. Charles Willson Peale, 1741-1827, American painter and naturalist, started as a silversmith then became a student of Benjamin West in London (1867-8). Settled in Philadelphia and became a Democratic member of the assembly, painted and exhibited his 'Portrait Gallery of the Heroes of the Revolution' (1782) and opened the Peale Museum of natural history in 1786.
while 'the skeleton is indeed as large as is represented it had not that formidable, dread-inspiring aspect which my romantic turn led me to expect, and with which I expected to be overwhelmed: I beheld it without surprise or emotion.' What is more, two sceptical gentlemen slipped under the guard rail and scraped one of the huge 'bones' with his penknife and swore, according to Mrs Royall, that 'it was nothing but wood'. Even so, an epidemic of mammoth fever swept America and some of Jefferson's Massachusetts admirers made a mammoth cheese weighing 1235 lb and delivered it to Washington in a four-horse waggon. Jefferson was suitably appreciative and exhibited the cheese in the East Room of the White House, which he duly nicknamed the 'mammoth room', but he had to wait some time before he could fill it with real 'mammoth' bones. Jefferson's geopolitical 'savvy' and palaeontological interests led to his further sponsorship of the Meriwether Lewis and William Clark 1804-6 exploration of the American West. Part of their remit was to collect any fossil bones they might come across and to investigate whether any mammoths were living in the remote wooded and forested territories west of the Missouri. In addition, they were to check up on persistent rumours that there were Welsh-speaking, white-skinned people known as the Madocians living in the far west. They were supposed to be descendants of the Welsh Prince Madoc who, it was claimed, discovered America in 1170. Jefferson was disappointed on both counts, but in 1807 William Clark did recover some 300 fossil bones from Big Bone Lick. We now know that they included the remains of both mammoth and mastodon along with extinct species of bison, deer and oxen. They were shipped down the Mississippi and in 1803 installed in Jefferson's 'mammoth room'. Meriwether Lewis, 1774-1809, American soldier and explorer, led an unsuccessful expedition up the Missouri (1792), private secretary to President Jefferson (1801) and joined with William Clark to explore west of the Mississippi (1804-6) and made the first overland journey to the Pacific coast. Governor of Louisiana from 1806. William Clark, 1770-1838, co-leader of the Lewis and Clark expedition (1804-6); grew up on his father's slave-run Virginia plantation, joined militia (1789-96) and served with Meriwether Lewis, inherited family estates. Asked by Lewis to accompany him on their pioneering expedition, subsequently appointed brigadier general and superintendent of Indian affairs for Louisiana by Jefferson. The President only had another year to run in office and so employed a Philadelphia anatomist, Dr Caspar Wistar, to sort the bones. Wistar selected a few for Jefferson to keep as ornaments in his Monticello home. Others were to go to the American Philosophical Society and the remainder he gifted to the National Institute of France, because Jefferson remembered that the French sample of bones from the Ohio animal was not very great. Needless to say he did not think that the British warranted any such gift and it was not until the 1840s that London would possess any fine examples. Albert Koch, German born, emigrated to America in 1830 and settled in St Louis as an entrepreneur and collector. Opened a private museum in 1836 and toured with prize exhibits to Europe, visiting London in 1841. Koch had recovered a particularly fine mastodon specimen and set about mounting it for exhibition. Ever the showman, aware of public demand for the extreme, he 'stretched' his skeleton with extra ribs and backbones so that it became 32 ft long and 15 ft tall. For increased dramatic effect, he attached the tusks to the skull so that they curved up and back over the animal's head. Opening in St Louis, the fantastic exhibit then went on the road to Louisville and by October 1841 was in the Masonic Hall in the city of Philadelphia, home to the internationally famous American Philosophical Society, founded by Benjamin Franklin in 1743. One of the country's best-known experts on fossils, Dr Richard Harlan, told the members that Koch was exhibiting 'one of the most extensive and remarkable collections of fossil bones of extinct mammals that have hitherto been brought to light in this country'. He praised Koch's efforts while also pointing out the errors of reconstruction. By the end of the year Koch and his mastodon, which he variously called Missourium and Missouri leviathan, were on display in the Egyptian Hall, in London's fashionable Piccadilly. Apart from the generally curious British public who flocked to see Koch's display, there were some more informed and critical visitors such as the famous geologist and author of the Principles of Geology, Charles Lyell. Another was the rising star of early Victorian science, the anatomist Richard Owen, who first described the unique features of a group of extinct reptiles that he called the Dinosauria. On February 23rd, 1842 Owen discussed Koch's reconstruction at a meeting of the Geological Society of London, one of the oldest societies devoted purely to the science of geology in the world. Owen 'rubbished' Koch's claim that he had discovered a new giant animal and pointed out that it was simply a mastodon that had been incorrectly reconstructed. Owen had spotted all the 'add-ons', the inflated stance and misplaced tusks, and produced his own reworking of the skeleton in the form of a huge 7-ft-long drawing. Leonard Horner was in the audience and reported the goings-on to Lyell in a letter. By the mid 19th century enough fossil bones had been found to show that the Americas had been inhabited by a variety of large extinct elephant-like animals called mastodons, as illustrated in John Collins Warren's The Skeleton of the Mastodon Giganteus of North America (Boston, 1852). until the following summer, when Koch took the exhibits on the road again to Dublin in Ireland and then to Germany. In May 1844 Koch, on his way home to America, stopped over in London to close a business deal. Owen might have done his damndest in criticising Koch's reconstruction, but Owen also knew a fine specimen when he saw one. He encouraged the British Museum to buy the mastodon and some other fossils. Koch also got a good deal, receiving a downpayment of US$2000, with a further US$1000 a year for the rest of his life, which ended up totalling US$23,000. As soon as the museum had its hands on the specimen, it stripped away the 'excess baggage', repositioned the tusks correctly and put it back on public display as Mastodon americanum, now known as Mammut americanum. It is one of the finest mastodon skeletons in existence and in reality, the beast stood some 8-10 ft in height and weighed some 4-5 tons, not much different from the African elephant. Quite undaunted by any criticism of his reconstructions, Koch had no sooner returned home than he was again on the lookout for any spectacular fossils that might drum up a crowd for his museum. In February 1845, he spotted a huge backbone sitting in a farmer's fireplace in Clarke County, Alabama. On hearing that such bones frequently turned up in surrounding fields, he made further inquiries and soon heard of a skeleton across the Tombigbee River at the Washington Old Courthouse and dug it out. Even though it was already some 90 ft long, as usual Koch could not resist the temptation to make it even bigger and better by adding more bones from other sites. By the end of that summer he had put together a skeleton that was over 114 ft long in the Apollo Rooms on Broadway in New York. With Koch's claim that it was a gigantic sea serpent, which he called Hydrargos sillimani, the exhibit was an instantaneous success. Charles Lyell, who was visiting the country, called on Koch to find out as much as he could about the geology of Alabama. Lyell knew well enough about Koch's abilities and tendencies and wrote to Horner about the latest monster. In fact, similar bones had already been excavated from elsewhere in Alabama in the 1830s and some of them had reached England, where they had been examined by Owen. The 'sea serpent' was a sea mammal, a large extinct whale that Owen described and named Zeuglodon cetoides at a meeting of the London Geological Society on January 9th, 1839.